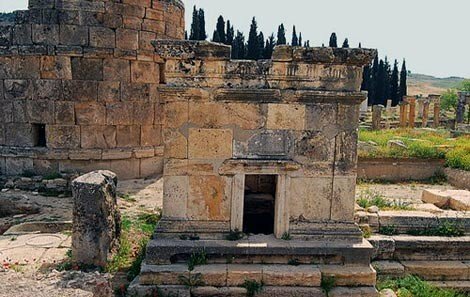 Visiting: Ancient city Ephesus, Pamukkale. once you visit Turkey by cruising. Utilizing your time at the port by taking a cruise shore excursion that introduces you to all the depth and beauty this city has to offer. And with our well-trained guide, you can be sure to have a quality time full of both knowledge and entertainment with this two days tour. 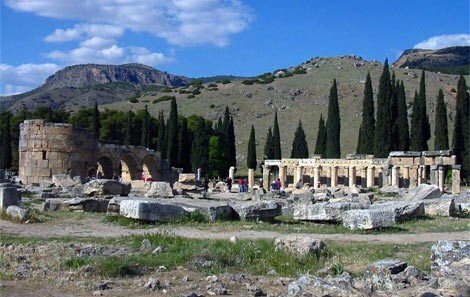 tour with a scenic drive to Ancient City Ephesus through flourishing countryside in an air conditioned vehicle. the marble of avenue and the ancient theatre which has a capacity of 25,000 people. 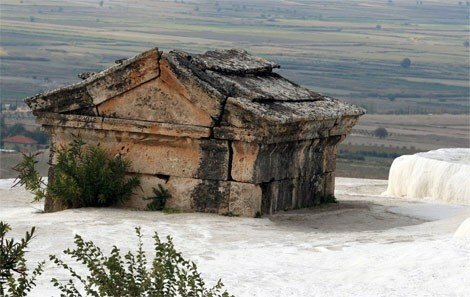 There are also so may ruins of monuments and other impressive buildings such as the Terrace House, which is a rich people mansion, for you to explore. 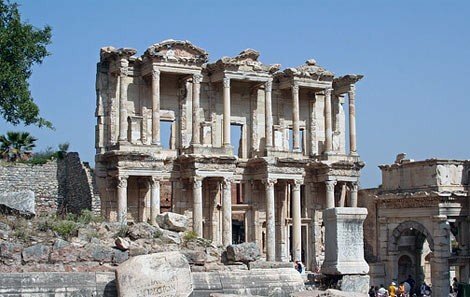 You need to pay the entrance fee at the Terrace House, but those who have been in there would tell you that it is probably one of the most impressive sights to visit in Ephesus for it is still very well preserved. You can see the art and architecture and the affluent lifestyle of the people in that period. where you can enjoy your own free time in the evening. Have a wander around it and you will understand why people have been falling in love with the place. 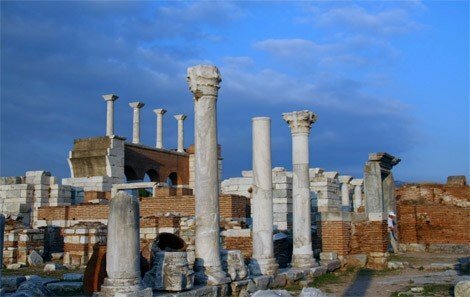 You can see the Roman ruins everywhere blending in with cute local cafes and restaurants. Look up and you will see families of stork birds building their nest atop of Roman poles around the city, giving Selcuk another unique flavor. is ultimately one of the most important highlights in Turkey. rejuvenating to people since ancient times. 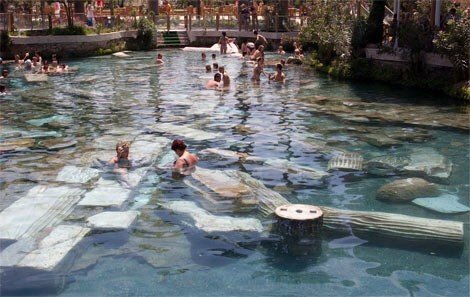 and you can swim among the remains of ancient Roman columns, toppled into the water by various earthquakes. 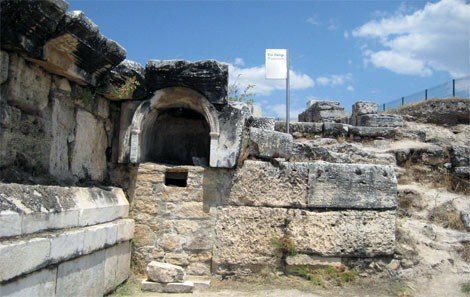 This antique pool is also known as Cleopatra's bath. You have to pay extra fee to get in it. 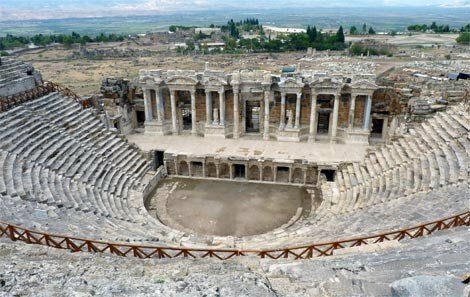 After Hierapolis, we continue to Pamukkale or "Cotton Castle" in Turkey, located above the theatre of Hierapolis. 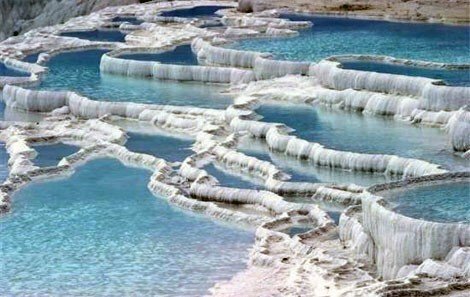 Pamukkale is the result of limestone formations built over thousands of years. 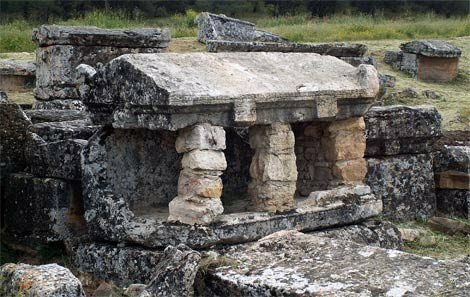 After the tour, we will drive back to Fethiye and drop you off at the port in our luxurious vehicle.